Irritable bowel syndrome (IBS) is a functional illness associated with significant impairment in quality of life. Compared to men, women are more likely to meet criteria for IBS, to seek treatment, and experience greater detriments in quality of life. In addition to physiological factors, psychosocial factors may contribute to such gender differences. We examined whether traits associated with masculine (agentic) and feminine (communal) gender roles were linked with adjustment to IBS. 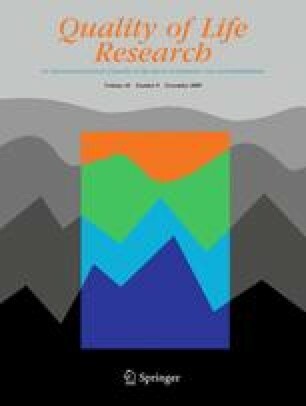 Women with IBS (N = 144) completed online self-report measures of gender-related traits (agency, communion, unmitigated agency, unmitigated communion, lack of agency, lack of communion), IBS-specific quality of life (IBS-QOL), and psychological adjustment (negative and positive affect). Agency was positively associated with all dimensions of IBS-QOL and psychological adjustment. Select dimensions of IBS-QOL were lower among women higher in unmitigated agency (social reactions, body image) or unmitigated communion (interference with activity), and both traits were associated with increased negative affect. Lack of agency was associated with increased IBS-QOL (food avoidance) and decreased positive affect. Communion and lack of communion were not associated with either IBS-QOL or psychological adjustment. Findings may help elucidate psychosocial factors contributing to quality of life among women with IBS.